One could be forgiven for thinking there was a stadium act in town tonight. As endless queues of people waded into the Brixton Academy, sounds of heaving bass lines and overly excitable fans beckoned from the interior. Editors have become somewhat of an icon in the British rock scene today. The five piece from Birmingham have been around for almost 15 years and are regulars on the festival circuits around Europe and the UK. Their music has been critically acclaimed on a number of occasions, including at prestigious award events where their name has appeared alongside other notable artists including Muse and Arctic Monkeys. Their current UK tour follows the release of sixth studio album Violence – the cover of which is draped behind the stage and has been described as “brawny, hooky and tinged with feeling”. Not strangely, songs from the album – Darkness At The Door, Violence and Cold – attract such roaring affection from the crowd. But it’s not just the new stuff that raises the roof, Editors classics such as Sugar, Formaldehyde and Munich had an innate ability to almost mute frontman Tom Smith as the crowd belted every line. But for the all the notable hype the tour seemed to promise, this show wasn’t particularly awe-inspiring. Instead, this was a predictable rock and roll show with very few unique or memorable moments. The band hid behind blue and red hues of light, smoke machines covered them up to their knees, there was no banter, no moment to pause or even take a breath between their overly demanding setlist (22 songs, to be exact). In fact, the only moment the band took to acknowledge the people before them was a 30 second interlude where Smith stood up to the microphone and said: “nice to see you, thank you”. Yet, while it may sound to the contrary – the simplicity of the show was not actually a downfall. Instead it was a manner of performance that seemed perfectly suited to them and for their audience. For Editors, it is not about grandeur or spectacle, it’s about giving the fans a taste of everything they wanted. An excellent strategy that yielded no complaints. The songs are anthems to their fans – they don’t need anything more than the music. Their voices beckon as loudly as the frontman’s, they clap, they shout, the jump in unison and egg each other on to increase the intensity of the moment. 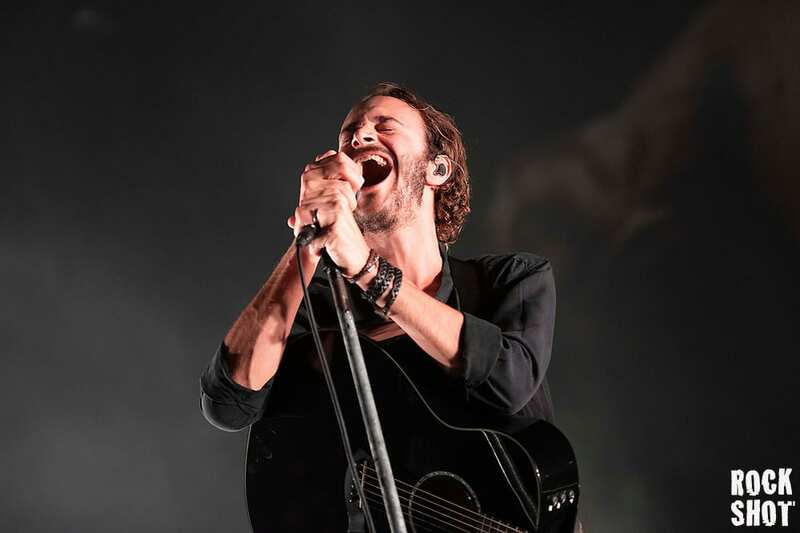 It’s a passion for music that they share with Editors and symbolises the true essence of a traditional rock show – shows which, nowadays, can often be lost underneath stadium-show grandeur. At least anyone outside wouldn’t have known the difference, that’s for sure. Live review of Editors at Brixton Academy on 24th October 2018 by Lilen Pautasso. Photography by Kalpesh Patel.